If you believe Star Citizen to be the most ambitious game project ever conceived, perhaps that’s because you haven’t read our previous coverage of Dual Universe. Developed by the Paris-based studio Novaquark, this MMO is powered by the innovative proprietary CSSC (Continuous Single-Shard Cluster) technology whose goal is to deliver a massive single shard universe to potentially millions of players without any loading screen. 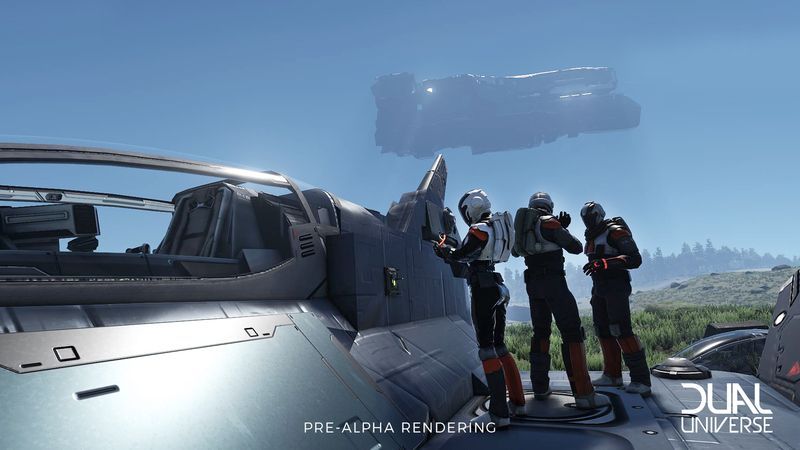 That’s just the tip of the iceberg, anyway, because Dual Universe combines the aforementioned technology with a voxel engine which allows the virtual universe to be fully editable. Players may dig tunnels, carve up mountains or build anything they want from spaceships to massive orbital stations. After an initial crowdfunding round on Kickstarter, the game received additional funding via private investors. However, today’s news is that new backers can join the ongoing Pre-Alpha tests by purchasing one of the new Supporter Packs available on this page. monthly access to Dual Universe post launch, and much more. In case you want to learn more about Dual Universe, check our interview with Novaquark Founder and Creative Director Jean-Christophe Baillie.